Met up with some girlfriends for a quick brunch during my stopover in San Francisco. Coupa has outdoor patio seating as well as indoor seating. They also offer free wifi which is probably why the place is always packed. Seating is first come first serve so watch out for pitbull-ish behavior when people are trying to fight for a table. 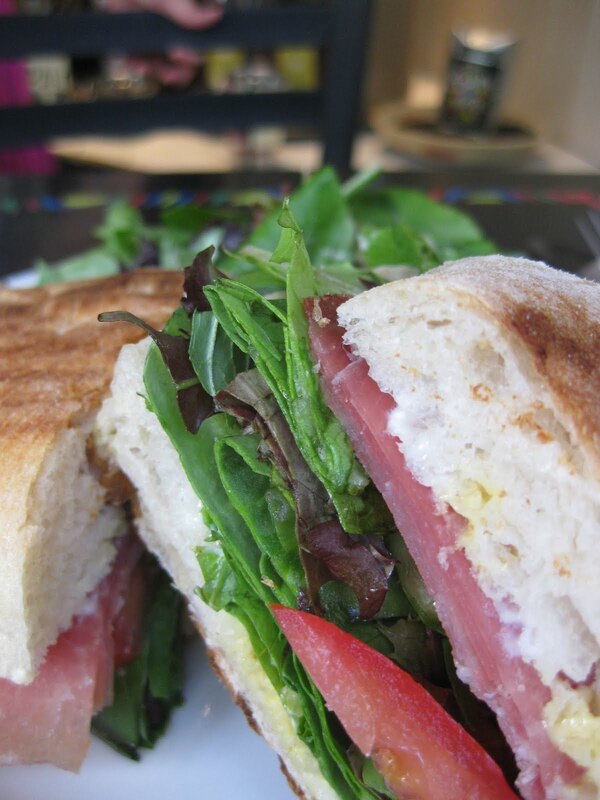 I had the Serrano ham panini and my friends had other paninis — a tomato and mozarella one and another had turkey. All the paninis were pretty good! I was rather happy with it. The bread was nicely toasted and the filling was ample and generous. I also had some fruit infused black tea — they have a good array of teas and coffees to choose from. Parking is available underground across the street if you are early. Closer to lunch time, it is very hard to find parking anywhere. I suggest if you want to come try out Coupa, come early or later, after the lunch rush. I would definitely come back here again! Very relaxing and casual atmosphere for a girls’ luncheon!